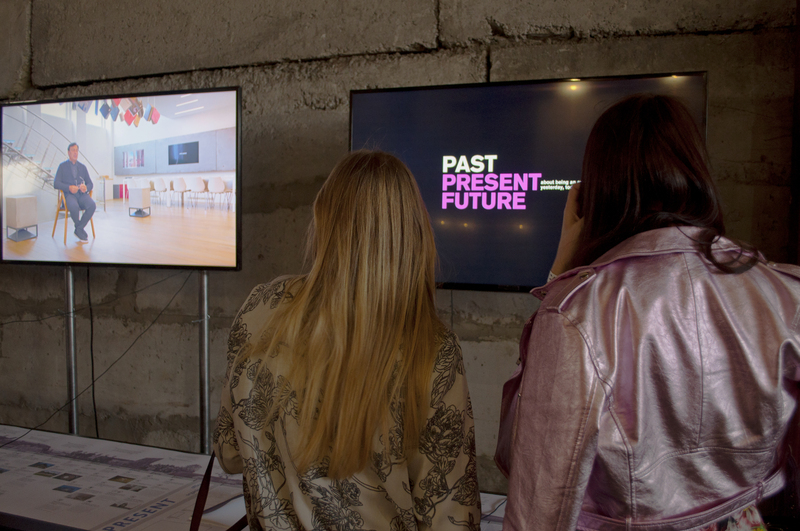 The 'Past, Present, Future' project presented through an exhibition with a unique combination of videography, print and virtual media, premiered at the CANactions International Architecture Festival in Kyiv, April 2018. 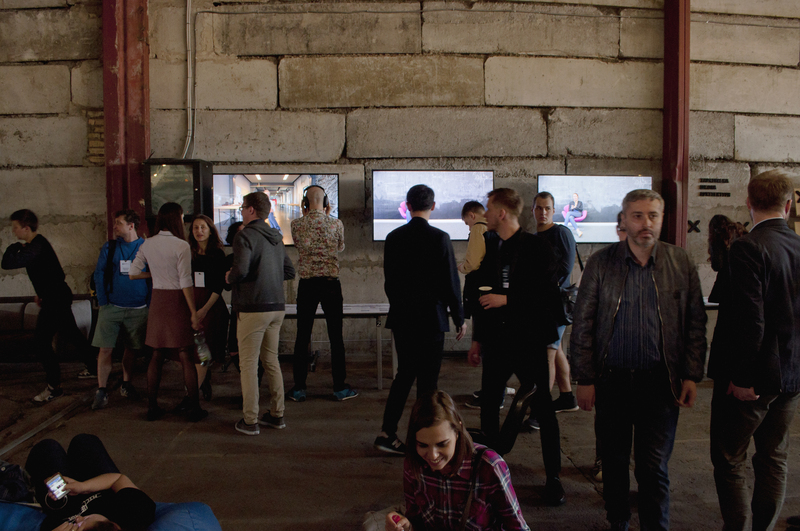 ‘Past, Present, Future: about being an architect yesterday, today and beyond’ was exhibited at the CANactions International Architecture Festival 2018 hosted in the Lavra Gallery in Kyiv, Ukraine. 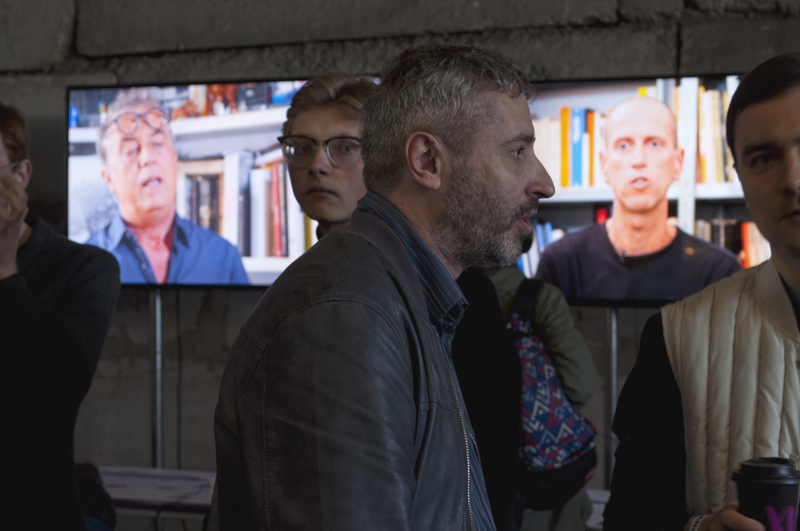 The festival took place between 20-21st April 2018, and presented a new sequence of extended video material, showing all 11 of the interviews along with their transcriptions, which were collected within three paper booklets. 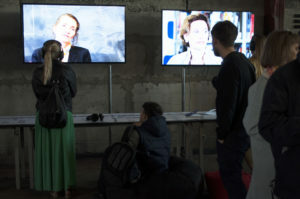 The texts were accompanied by an archive of images, referring to the experiences of each study: the beginning of their careers, projects of the past and of the present, and a selection of relevant concepts embodying their visions of our future urban environment, which you can find on the official documentary website. A project rich in content, ‘Past, Present, Future’ has a lot of material yet to be released. 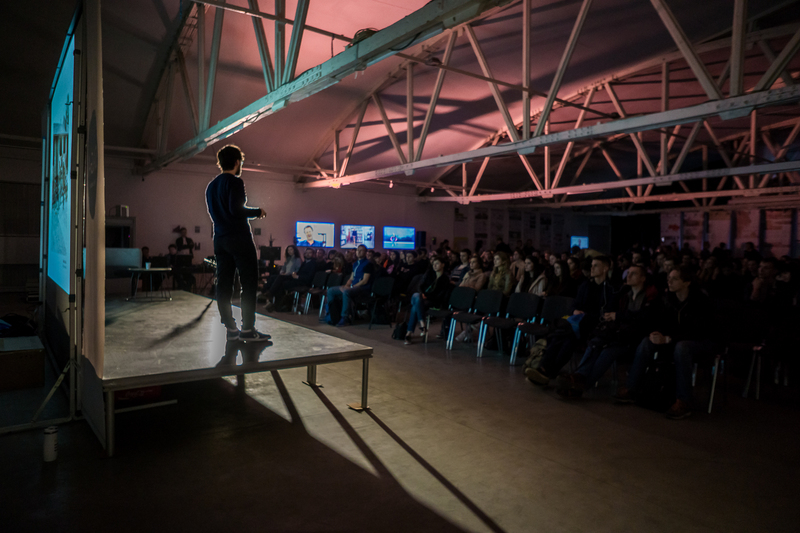 The information acquired during its production can be interpreted in multiple ways, with the ability to draw connections between key trends among the architects’ pasts, the reasons behind the establishment and success of each of their firms, along with their unique outlooks on the future. With similar questions being asked in each interview, common traits can be clearly distinguished. Some prevalent themes discussed with the architects include ‘mobility’, ‘intelligent technologies’, ‘urbanity’, ‘data-driven economy’ and ‘common goods’. 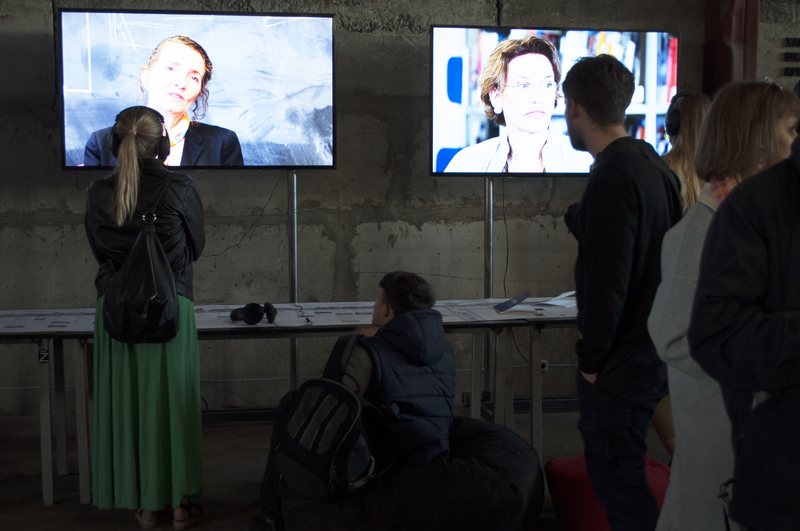 With over 20 hours of video footage, the format of the exhibition is adjustable, and through using unreleased content and behind the scenes material, it can be represented with different focuses to achieve new, innovative outcomes. 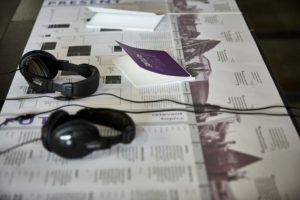 The exhibition contained 33 short interviews, split into the categories PAST, PRESENT, and FUTURE. They were played on loop on 3 screens. 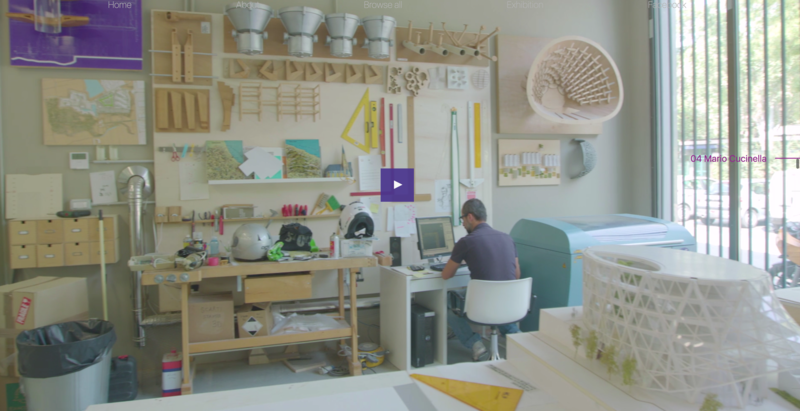 Each interview was between 4-6 minutes, and showed the highlights of what each architect had to share. 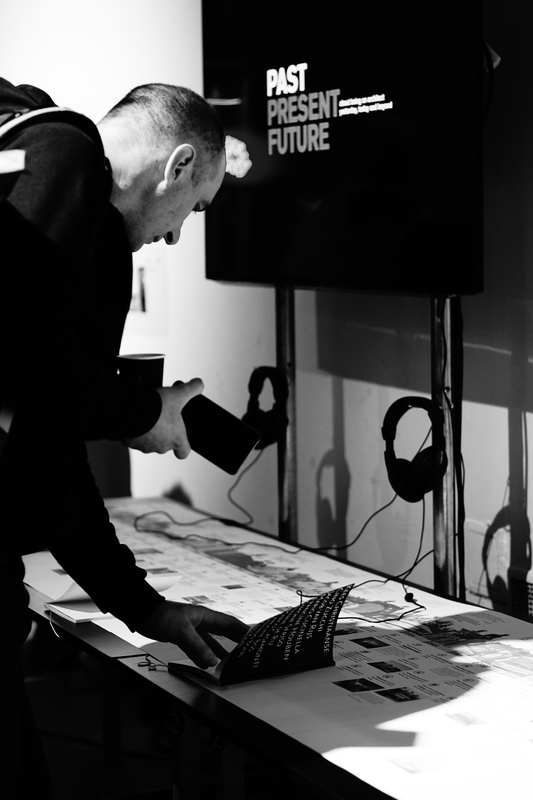 In the FUTURE loop, each architect ends their comments with their responses to the same question: “Do you have a piece of advice for the New Generations of Architects?”. An accompanying series of panels displayed info-graphics and diagrams comparing the details of each practice, whilst a graphical time-line mapped out key dates of their accomplishments. A visual collage followed this chronology, displaying memorable quotes, along side key images of projects, characters and concepts which were mentioned throughout the interviews. 3 separate paper publications – PAST, PRESENT and FUTURE – are placed alongside the the panels with the full transcriptions of each video-interview. 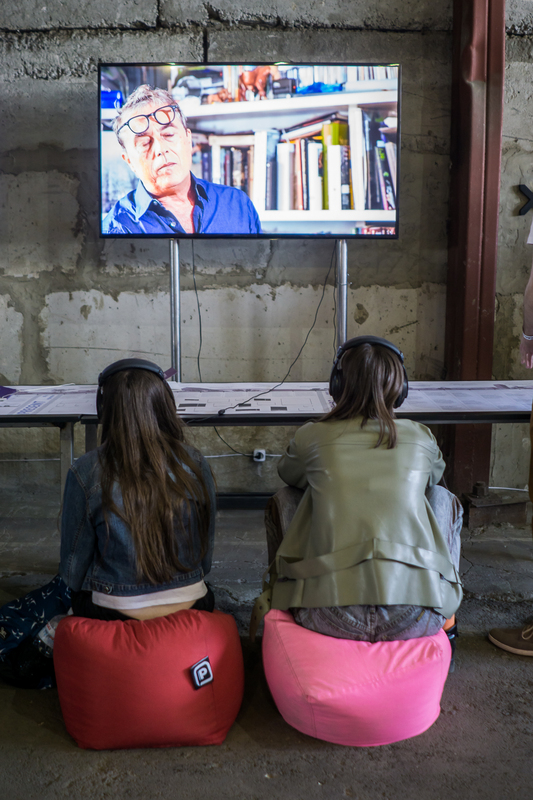 To accompany the exhibition, a documentary-style website records key imagery, behind the scenes footage, all 33 video-interviews complete with the extended transcriptions. 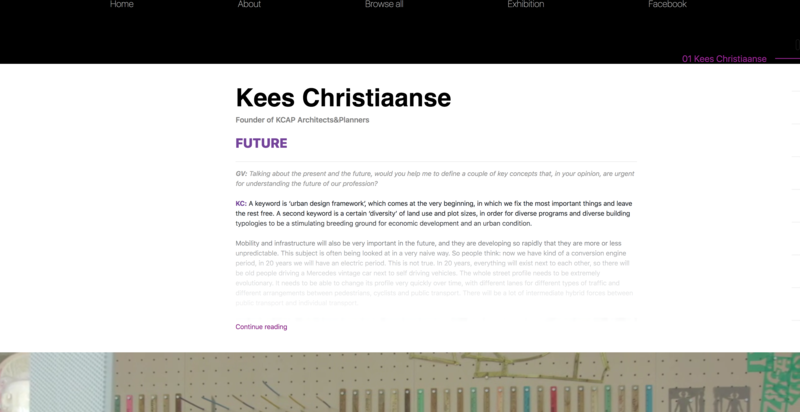 With a user-friendly navigation system including a ‘Browse All‘ section, an index with all of the architects’ names, and a brief bio of each practice. Key quotes are highlighted, depicting advice for the younger generations, and summarizing some of the essential themes brought up in conversation. 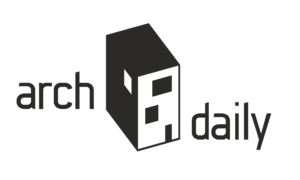 The website also includes an archive of images sent to us by the architects themselves, including scans sketches and old photographs from their student days, their early careers and their first projects.